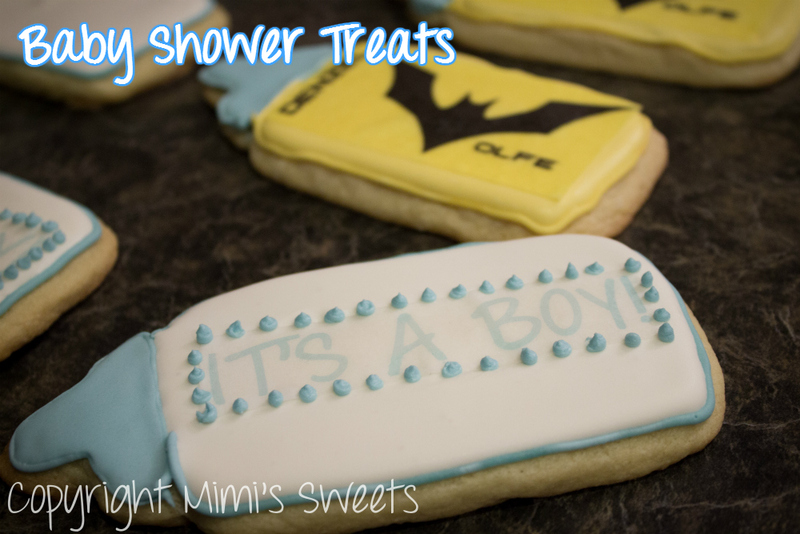 Home / baby bottles / baby shower / Baby Shower Treats / baking / Batman / chocolate pops / chocolates / decorated cookies / design / edible ink / EsJay Designs / hand decorated / Ink4Cake / Its A Boy / royal icing / sugar cookies / Baby Shower: It's A Boy! 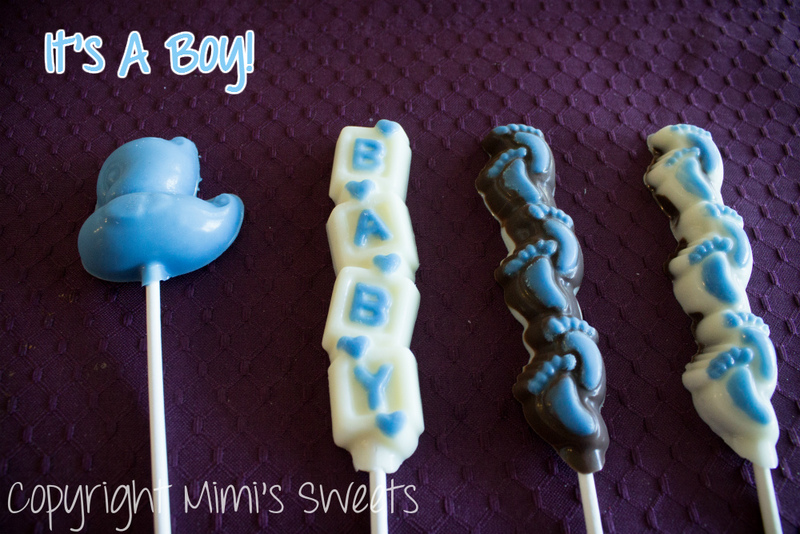 Baby Shower: It's A Boy! Custom decorated cookies and hand painted chocolates for a college friend's baby shower! 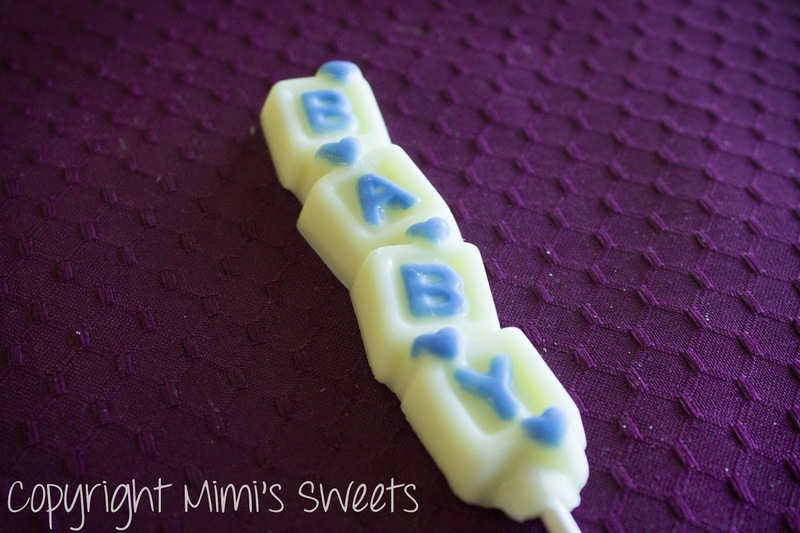 A college friend of mine contacted me a couple of months ago and asked if I would be able to make the take away treats for another mutual college friend's baby shower. 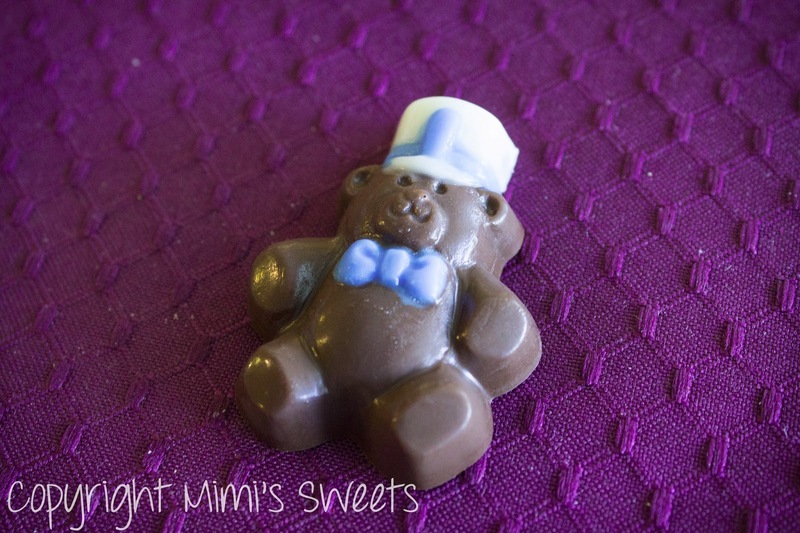 Of course, I was delighted and honored to be called upon for this special occasion! We used video chat to figure out exactly what she wanted from me. We decided on the variety of chocolate pops, chocolate teddy bears and two different decorations for the baby bottle cookies. 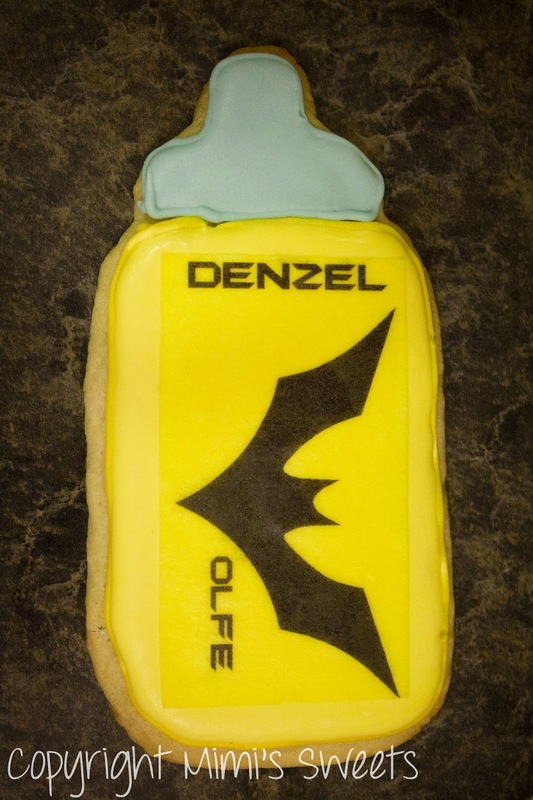 I'm sure some of you are wondering where the Batman cookie idea came from. Well, my friend Sandra and her boyfriend love comics and Batman (they started a unique, funky, and fun t-shirt company called EsJay Designs). 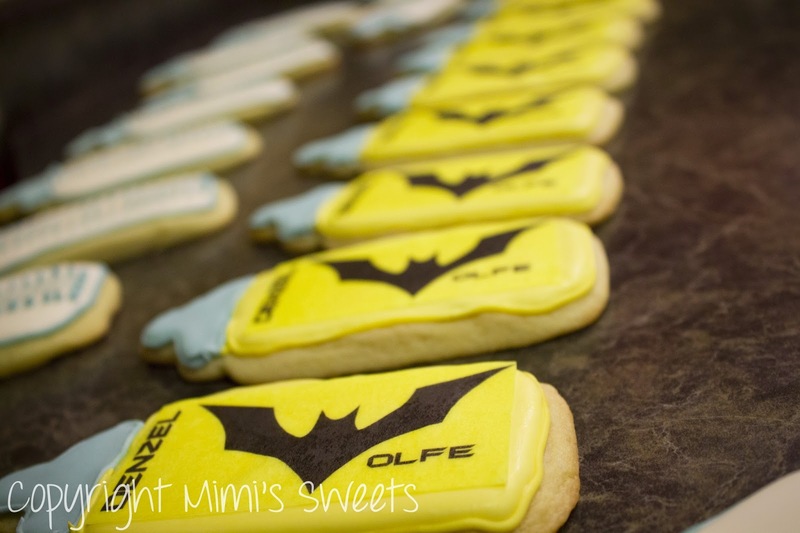 I thought that I would incorporate a Batman symbol that looked like a "W", so we could use the baby's first and middle names on the cookie. 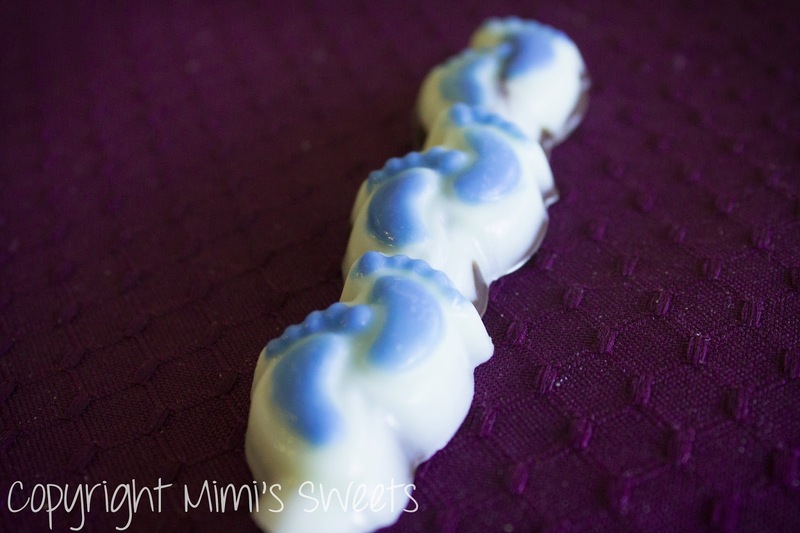 I decided to use a sugar cookie recipe of mine rather than shortbread, and not only did I hand decorate each cookie with royal and flood icing, I then used an edible ink printer by Ink4Cake to print out the designs that I created for the cookies. 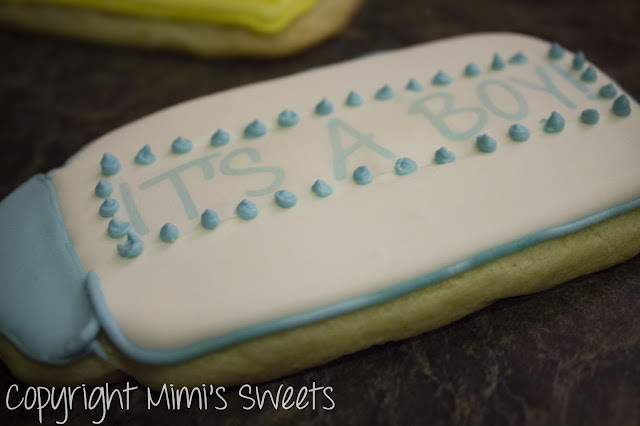 They aren't pictured, but then I wrapped each cookie and chocolate in a candy bag with really cute blue baby shower and baby boy ribbons. 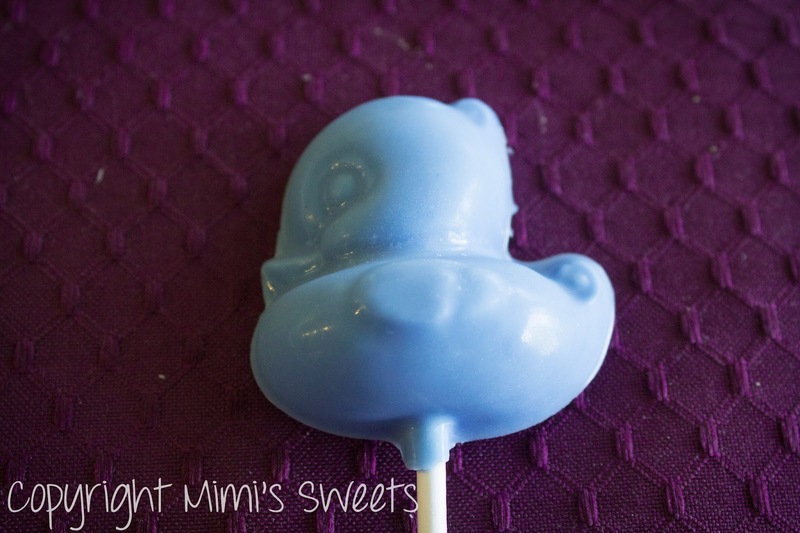 Oh yes, and because I had some chocolate left over, I decided to include some ducky chocolate pops too! I'm so honored that my friends chose me to be a part of the special day, and thoroughly enjoyed the decorating and baking! Even though I wasn't able to be there for the shower, I felt like I was still part of it. 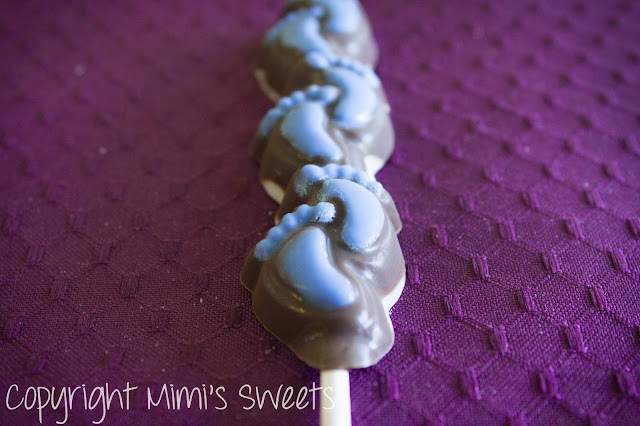 If you're looking to throw a shower of any kind, or even a birthday party and want decorated (or undecorated) treats, look no further! 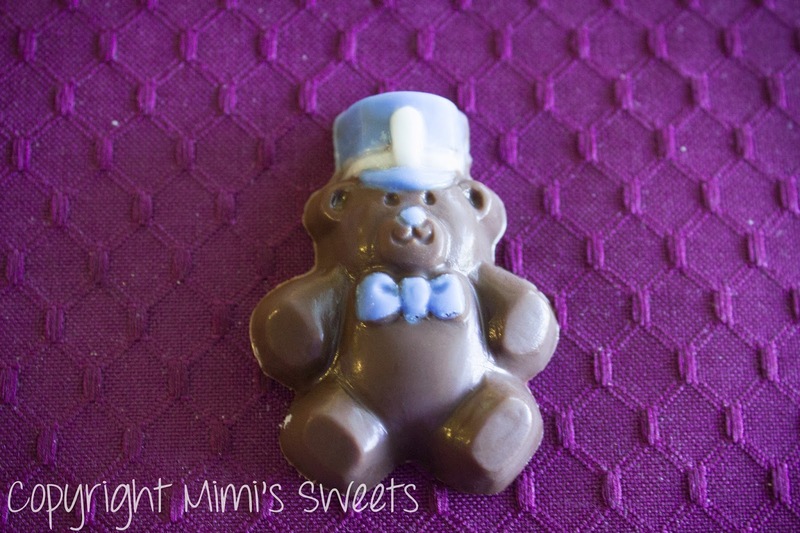 Thanks for stopping by, and if you want regular updates from the website, sign up for email updates.